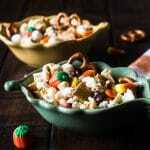 This Fall Party Mix Recipe is one of my favorite Autumn party snack foods. It only takes a couple of minutes to put together and everyone loves snacking on it. I like to throw parties because I love to be surrounded by family and friends. For a long time though, we didn’t host a lot of parties because I couldn’t find the time or would stress over all of the details. I started paying attention to other people who seemed to entertain effortlessly. My friend Erika throws impressive parties with no notice at all. I love all of her suggestions for what to have on hand for impromptu parties. For pre-planned parties, I use a lot of items from my impromptu party supplies and I also try to keep things simple. I stick to easy appetizers and finger foods for the menu and Spotify party playlists for music. Also, I try to take advantage of times of year when I’m already decorating my home (e.g. holidays and seasonal changes). Since Fall is my favorite season, I go a little crazy with pumpkins and gourds. 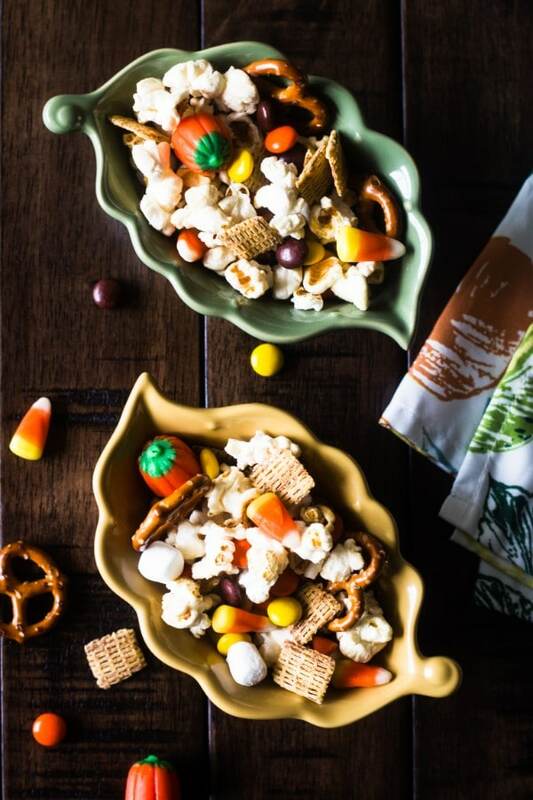 I wanted a festive and colorful snack to fill up bowls to place around the house where guests would be mingling. For this Fall party mix recipe, I just basically threw in a combination of sweet and salty snacks I know people love. 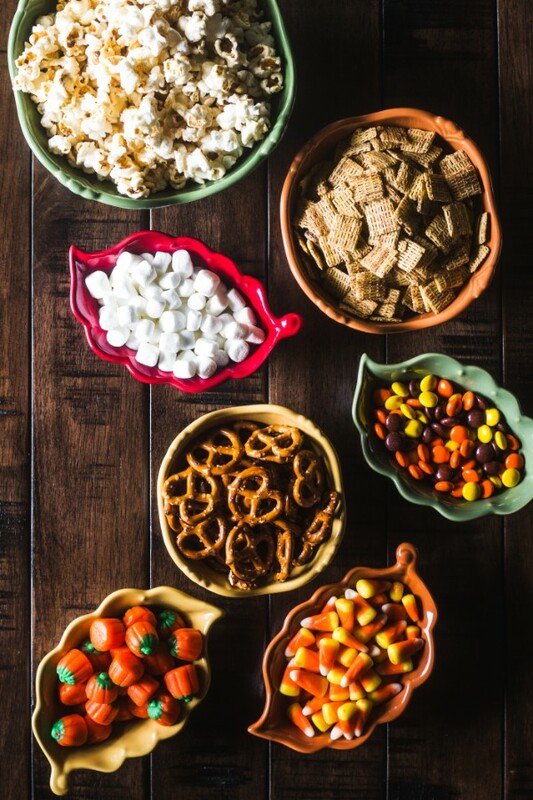 You could also skip mixing the ingredients together and just place bowls of each snack item around your entertaining space. I like mixing them together because you get all of the fun Fall colors at every table. 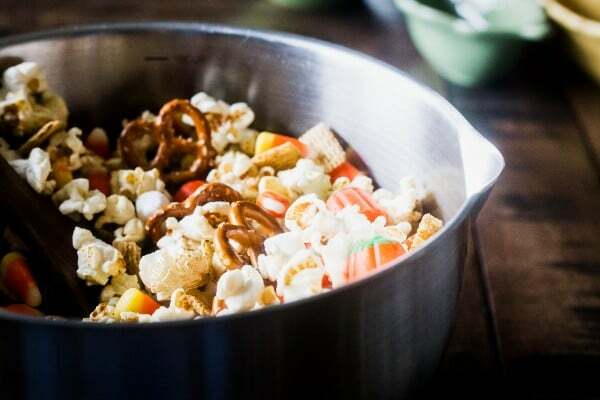 When you combine them, make sure to put the popcorn and mini marshmallows in the bowl first and the candy last because as you mix them, the heavier snacks will naturally fall towards the bottom. 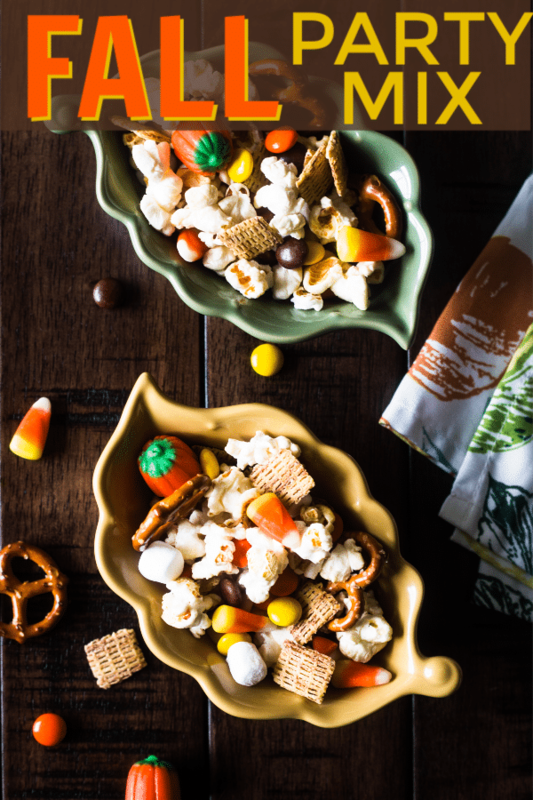 This Fall Party Mix Recipe combines a colorful assortment of sweet and salty snacks to create the perfect party mix for your next Fall party! Add all ingredients to a large bowl in the order listed since the heavier items (e.g. candy) will sink to the bottom. Mix the ingredients together and pour into serving bowls or store in an airtight container for up to 5 days. Don’t forget beverages! 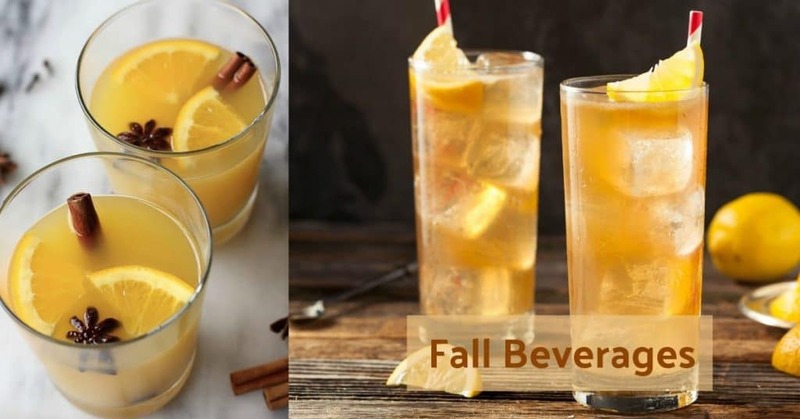 Try one of these delicious Fall beverages to wash down the Fall party mix. One of my favorite easy ways to decorate is to use printables in inexpensive picture frames. 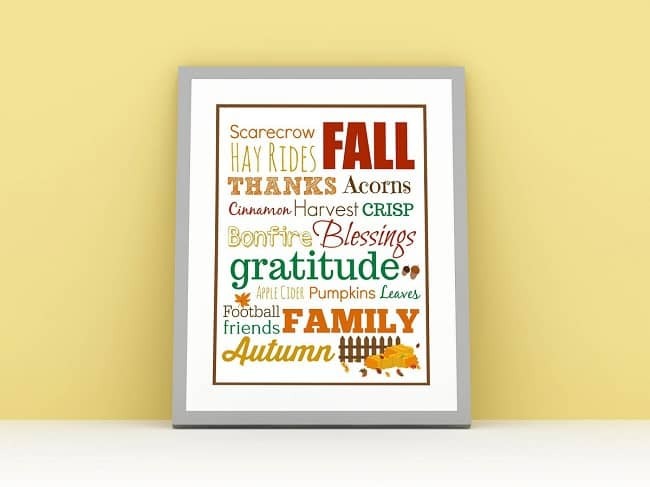 Here are some Fall printables I created that you can download and print for free. Will there be kids at your Fall party? 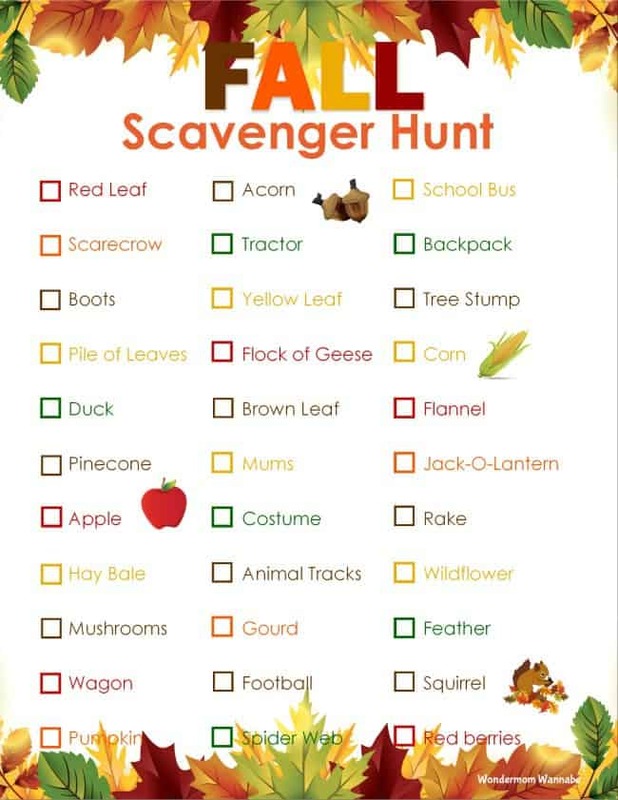 Print off several of these Fall scavenger hunts and send them out into the backyard to find as many as they can. 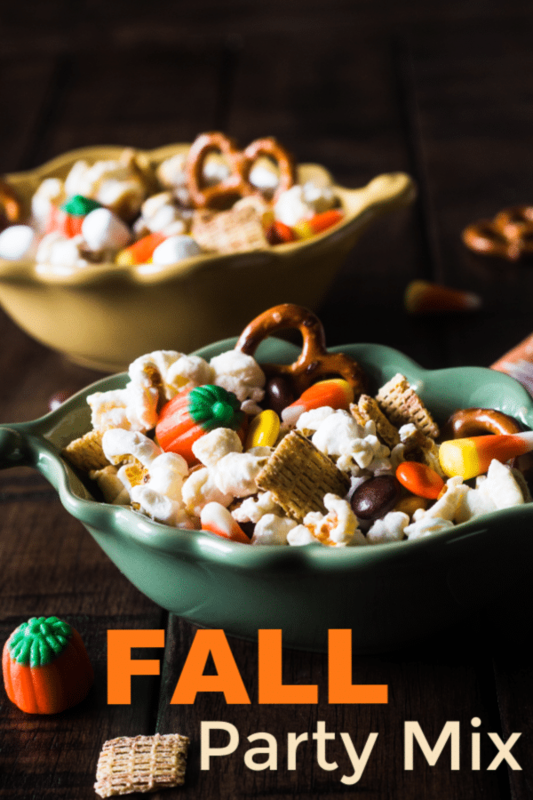 If you enjoyed this Fall party mix recipe, pin it for later so you can make it again and again!